From the minute we pulled up outside the exquisite Leeu House we were overwhelmed with the unbelievable 5 star service. The valet, Andy opened the door and welcomed us with the biggest of African smiles, stretching from ear to ear. His warmth was all encompassing and before we knew it he had unpacked the car, taken our luggage inside and taken the car off to park! Second to greet you are the two awe-inspiring sculptures of Mandela and Ghandi, history’s most iconic leaders. These are the first indication of the grandeur and the consideration of the space that awaits you. Not to mention, the seamless integration of African and Asian influence that runs throughout the property. 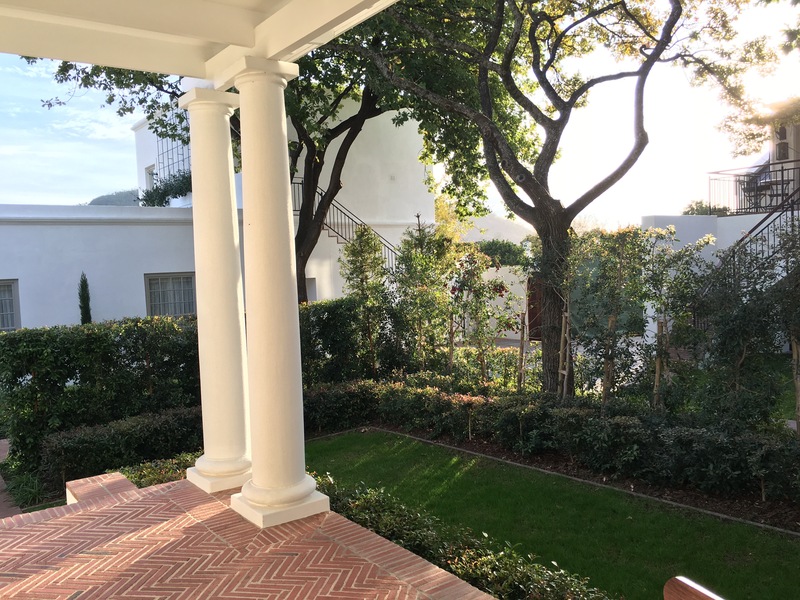 The perfectly manicured lawns lead you down into the classic Cape Dutch style buildings where the wooden floors and high ceilings embrace you wholeheartedly. We were then met by the beautiful Charmaine and Logan who checked us in with ease, proficiency and an affable charm! 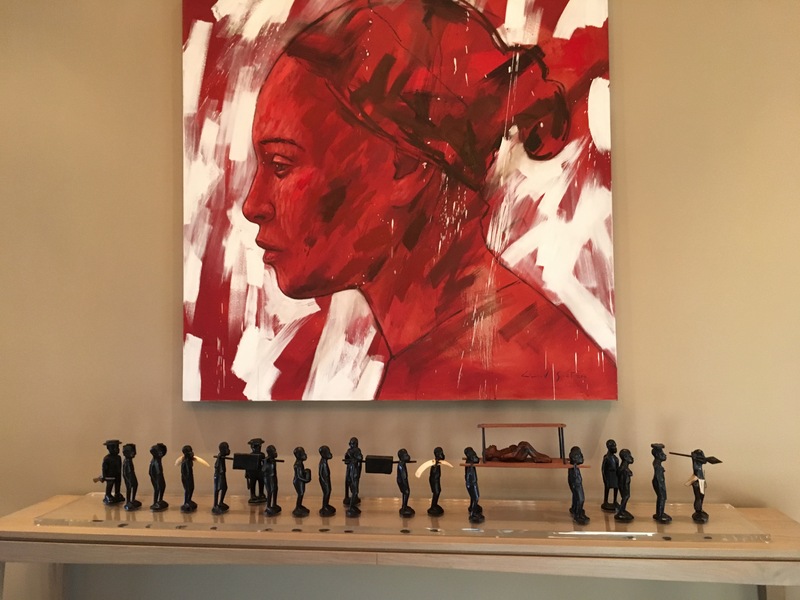 The interiors are considered and aesthetically pleasing from the outstanding sculpture of the Slave Trade at reception to the massive, brightly coloured Lionel Smit portraits, to the beautiful orchids… there is just so much to take in! The rooms are ridiculously spacious, boasting neutral hues, exquisite finishes and every creature comfort the heart desires. 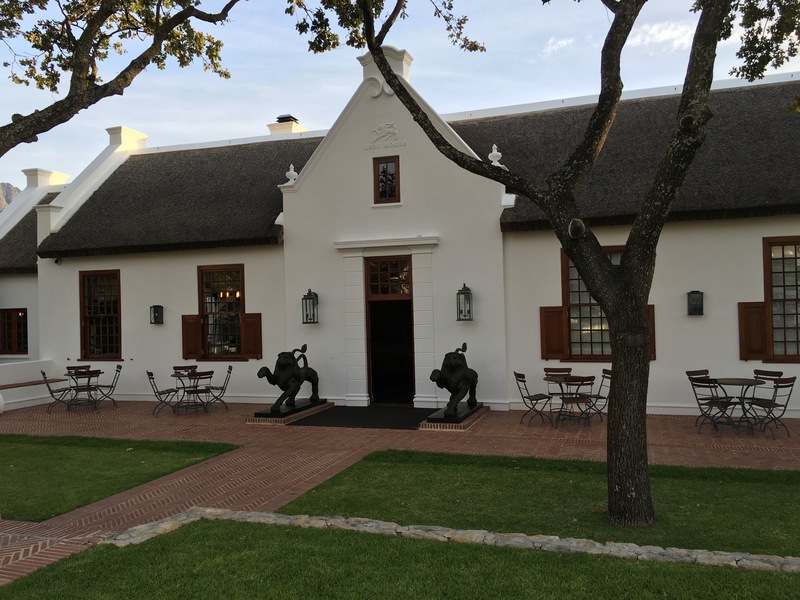 A Cape Dutch foundation with an Asian influence and scatterings of authentic, award winning, contemporary artworks. From the writing desk, to the under-floor heating, to the welcome note, to the personalised turn down gifts, to the complimentary mini-bar, complete with every delicious snack you could imagine, to the heavenly bed you won’t ever want to leave. 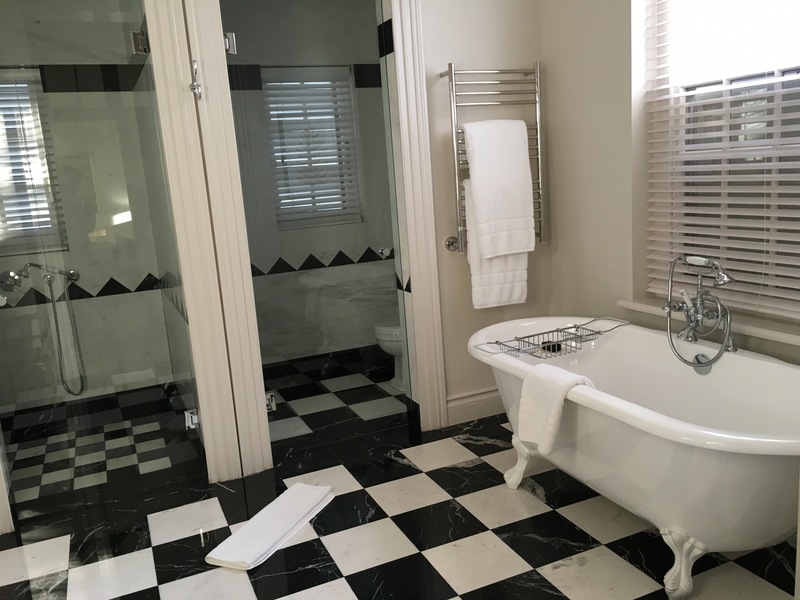 There is nothing more you need in life, in fact you could have a fantastic time without even having to leave the confines of your room, a sanctuary of peace, indulgence and decadence. Outside, the gardens are serene and secluded, exquisitely manicured, lush, green and vibrant. The heated pool and strategically placed sculptures by the likes of Dylan Lewis and his contemporaries ensure a peaceful escape, the perfect oasis away from the hustle and bustle of the main street. Be sure to have a quiet glass of wine on the patio… and take in the sights and sounds before heading out into the energy and buzz of the village. Shortly after this moment of peace we were whisked off next door, to the “happening” Tuk Tuk microbrewery where we had a delicious beer tasting. We were greeted by name, by the gregarious Hector at the door and shared lots of stories and laughs at the bar with Mark and Werner, who treated us like royalty. Now, I’m not normally a fan of beer but these craft beers… were delicious with the CBC Pilsener definitely coming out on top! Some scrumptious Mexican fare followed, nachos, burritos, churros… the whole bang shoot… and it was all delicious! After a little too much wine tasting that afternoon, the beer tasting and all that food it was time to take a little starlit wander around the picturesque village before we retired to the most comfortable bed in the world! I am not exaggerating when I say… it was literally the best night’s sleep of my life. So much so, that I asked reception for the details of bed and mattress so I can purchase the very same one! We woke properly rested, to the sounds of the birds chirping in the trees and a peaceful quiet that was just so poignant and powerful! Breakfast was a decadent affair to say the least. 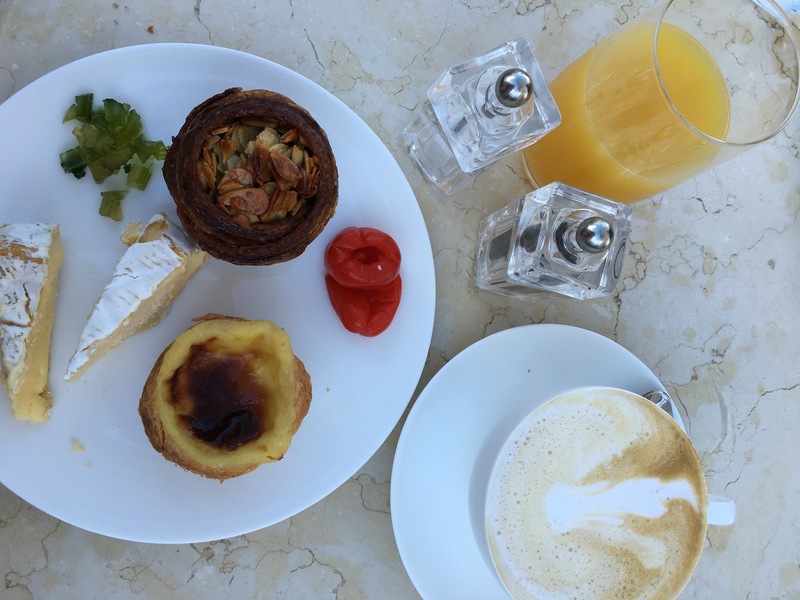 While sitting perched on the intimate terrace overlooking the gardens of Leeu House we sampled delectable yoghurts, fruit, muesli, baked goods, omelettes, freshly squeezed orange juice and of course a delightful cappuccino or too. Again the staff were attentive, delightful and full of character – ensuring that we left feeling wholesome and rested, wishing to return. But hang on… we’re not done yet, and I’ve definitely left the best for last. The staff organised for the delightful Kelvin to take us on a drive around the ground-breaking, immaculate and astounding (again I’m not exaggerating) Leeu Estate, which is yet to open. 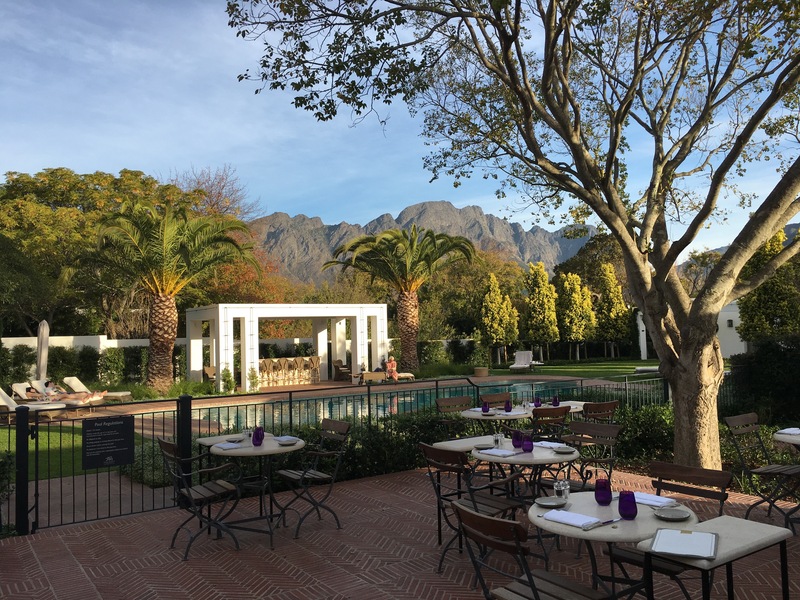 The estate is truly a wonder to behold and a destination that you literally couldn’t imagine in your wildest dreams – it really does have everything you could ever wish for in a 5 star, country escape. From infinite space, to beautifully manicured gardens, rose beds, walking paths, sculptures, rolling lawns, springboks, palm trees, swimming pools, picturesque cottages and a sophisticated manor house, vineyards, orchards, water features, rooftop gardens, libraries, gyms, spas and so much more… Watch this space… Leeu Estate is about to revolutionise the hospitality world. Opening soon, on the 15th June 2016! 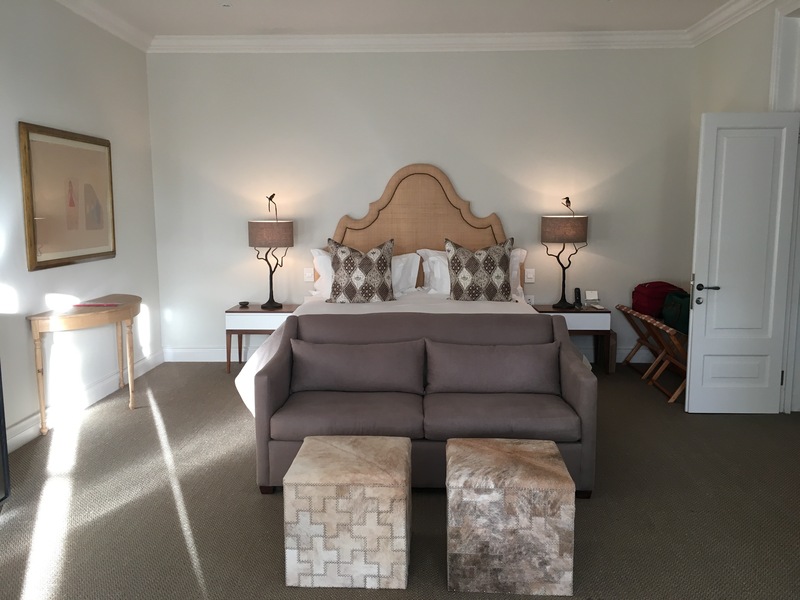 A BIG thank you to Karen, Lynn, Andy, Hector, Werner, Charmaine and Logan for making us feel so welcome and ensuring that we really did have the most indulgent and enjoyable weekend at Leeu House. The Leeu Collection is coming soon to our site for any queries in the meantime click here.